Reviews – in a snap! 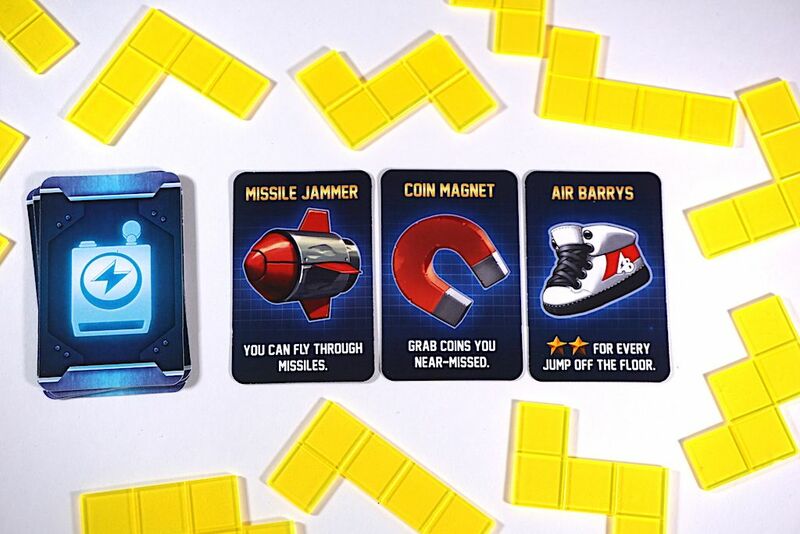 Our inaugural SNAP review is Jetpack Joyride, from Halfbrick Studios and Lucky Duck Games. Avoid the coins for 5 points! 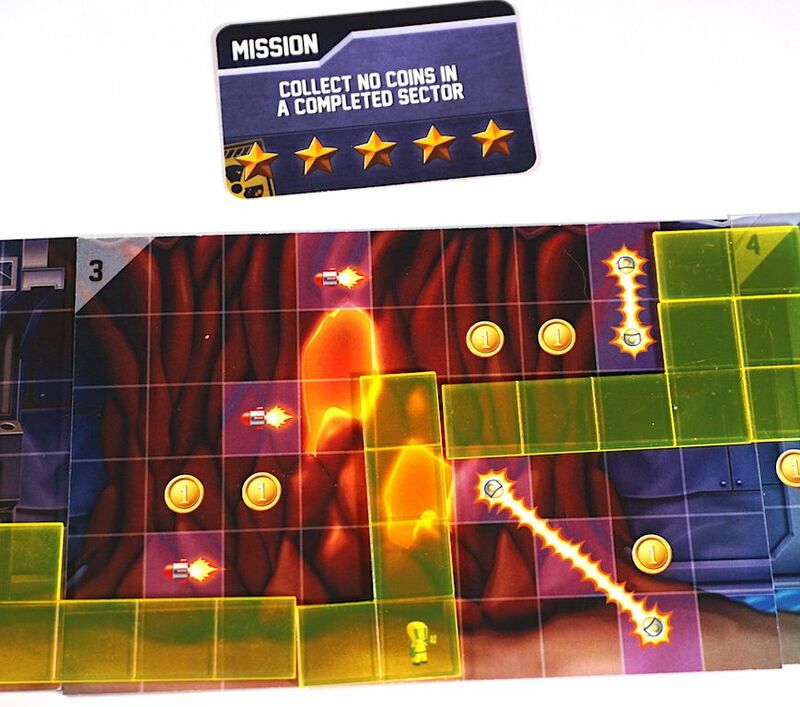 Jetpack Joyride, the board game, translates the frantic feel of the endless runner into a tile-laying puzzle. Speed puzzle: lay polyominoes (5-unit pieces) onto individual boards to build a path and be the first to “escape the lab”. Cover coins and complete missions to earn points. Fun gadgets available after the first & second rounds. Fast, simple (but not easy). A great filler game. We also tried solo mode: discard polyominoes used after each round. Try for a high score! Listen to our SNAP review thoughts below! On Kickstarter through July 31. The Family Gamers received a review copy of Jetpack Joyride from Lucky Duck Games.